Dropbox 68 is a free Web-based file hosting service. It lets you bring all your videos, photos and docs anywhere and share them easily. This means that any file you save to your Dropbox will automatically save to all your computers, mobile devices, and even the Dropbox website. The program also makes it super easy to share with others, whether you’re a student or professional, parent or grandparent. Even if you accidentally spill a latte on your laptop, have no fear! You can relax knowing that Dropbox always has you covered, and none of your stuff will ever be lost. The application works just like any other folder on your computer, but with a few differences. Any files or folders inside Dropbox will get synchronized to Dropbox’s servers and any other computer linked to your account. Green checkmarks will appear on top of your files to let you know that they’re synced and up to date. All data is transferred over SSL and encrypted with AES-256 before storage. Dropbox keeps track of every change made to any of its contents. There are both free and paid services, each with varying options. In comparison to similar services, Dropbox offers a relatively large number of user clients across a variety of desktop and mobile operating systems. There are a total of 10 clients, including versions for Microsoft Windows, Mac OS X, and Linux (official and unofficial). As well as versions for mobile devices, such as Android, Windows Phone, iPhone, iPad, and BlackBerry. Also a web-based client for when no local client is installed. The service uses the freemium financial model and its free service provides 2 GB of free online storage. 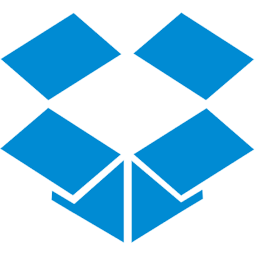 Users who refer Dropbox to others can gain up to 8 GB of free storage. The service’s major competitors include Box.net, Microsoft OneDrive, Ubuntu One, SugarSync, Mozy, ZumoDrive, SpiderOak, and Wuala. 2 GB of space for free, with subscriptions up to 100 GB available. Works with Windows, Mac, Linux, iPad, iPhone, Android, and BlackBerry. Transfers just the parts of a file that change (not the whole thing). Shared folders allow people to work together on the same projects and documents. See other people’s changes instantly. Send a link to any file using your Public folder. Apps for iPhone, iPad, Android, and BlackBerry keep your files at hand. Edit files in your account from your phone. Easily upload your photos and videos. Keeps a one-month history of your work. Protects your files without you needing to think about it. All transmission of file data occurs over an encrypted channel (SSL). All stored file are encrypted (AES-256).